Although the famous festival that borrowed the town&apos;s name actually took place about an hour west at what is now the Bethel Woods Center for the Arts, the spirit of the 1960s and early 1970s is still alive in Woodstock, New York. Peace, love, understanding, art, and music still reign in this quaint village nestled in the Catskill Mountains. There&apos;s no better time to visit as all of New York State is getting ready for celebrations surrounding the 50th anniversary of Woodstock, the festival. Gain your bearings in this town by exploring it on wheels. Rent a bike at Overlook Mountain Bikes and hit the trails. You won’t want to bring your bike back until sunset. As you watch the chefs in the open kitchen prepare your New American dishes like trumpet mushroom, bibimbap, and wood-smoked and brined chicken, imagine what this place might have been like in the 1970s. Before it was Silvia, the spot was home to a famous dive bar called Joyous Lake, which entertained legends like The Rolling Stones and Muddy Waters back in the day. The building was abandoned for more than a decade before sisters Betty and Doris Choi revitalized the space with Silvia. Fuel up for your day in nearby Phoenicia with your choice of a dozen varieties of pancakes, including berry-filled, Hawaiian (with pineapple and coconut), and buckwheat. 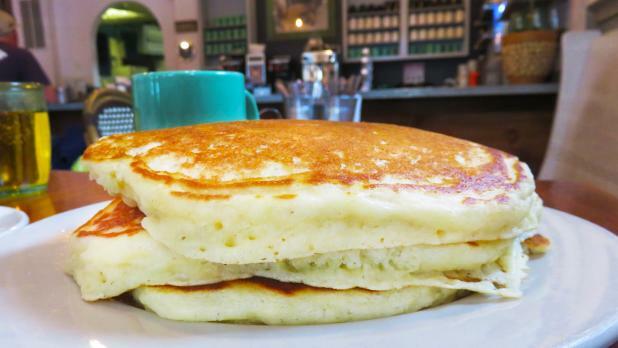 The pancakes are sizable, but they&apos;ll let you cut your order down to what you think you can handle at a discount. There are also French toast and omelet options for any rebels among you. Spend the day outside in nature. 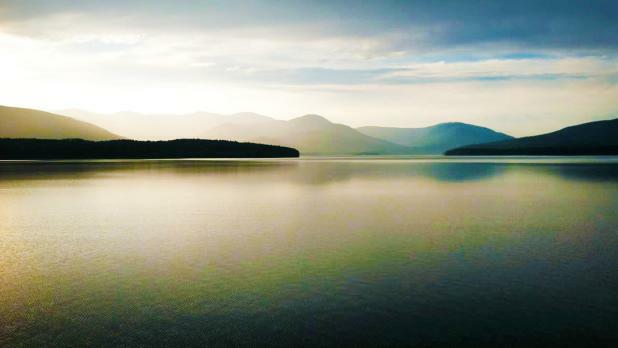 Warm up with an easy stroll around Ashokan Reservoir, a 2.7-mile paved walkway along the reservoir that supplies 40% of New York City&apos;s drinking water. More than 100 years ago, a dozen different communities were relocated in order to build the reservoir, which is why you&apos;ll see many historical signs around the area stating "Former Site of...". 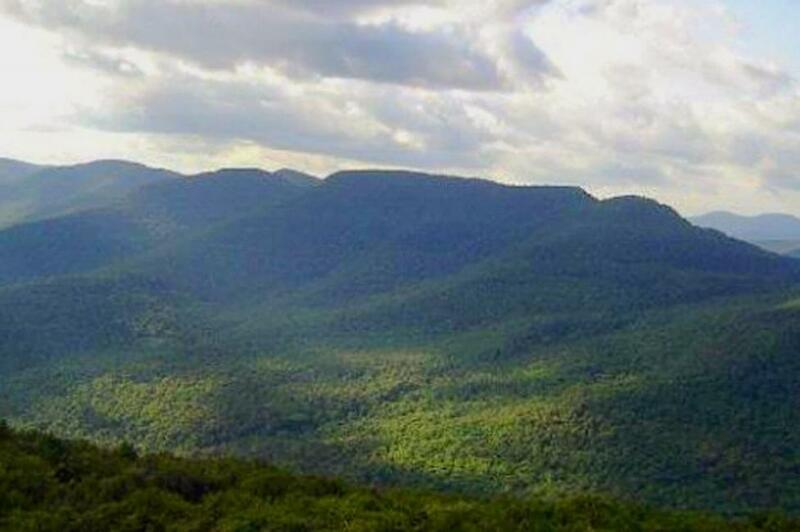 Graduate onto the Overlook Mountain path, which is a little more than two and a half miles—all uphill—and offers stunning views of both the Hudson Valley and the Catskills. Along the hike, you&apos;ll pass by some grand ruins of resorts from the early 1800s, when the first tourism boom from Manhattan began. 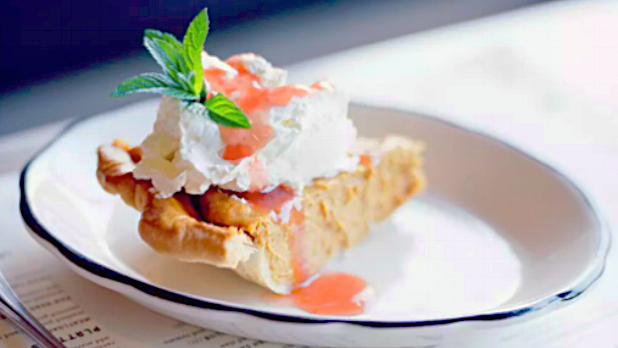 Phoenicia Diner is as famous for its food as it is for being a magnet for Instagram influencers. You won&apos;t be able to resist snapping a photo of your meal or dessert on the aesthetically pleasing placemat that doubles as the menu. As with many places you&apos;ll encounter this weekend, ingredients are seasonal, fresh, and locally sourced. Admit it, your curiosity is piqued. When at the diner, you&apos;re just a 5-minute drive from the World&apos;s Largest Kaleidoscope at Emerson Resort & Spa, so pop on in! For $10, watch a ten-minute show in the refurbished farm silo accompanied by sound and music. Believe it or not, you&apos;ll get the best view if you lay down on the floor. 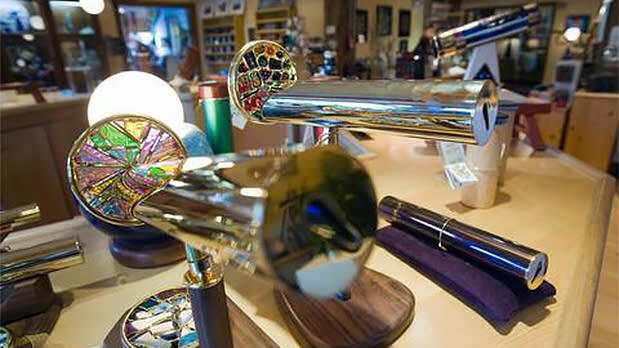 Wander through the various shops and buy your own (smaller) kaleidoscope, puzzles or plushes for the kids, or locally made soap and beauty products. Tinker Street is all about shopping, with everything from rugs and furniture to unique clothing on offer. You&apos;ll find your typical tourist shops with tie-dyed t-shirts and novelty items, but also some spots with unique home goods, where you&apos;ll find items like a pillow embroidered with RGB or gorgeous pottery made locally in town. Don&apos;t miss a stop at Peace, Love & Cupcakes, which has won competitions on Food Network for its sweet offerings and where the cupcakes are named after beloved musical artists from the 1960s and &apos;70s. 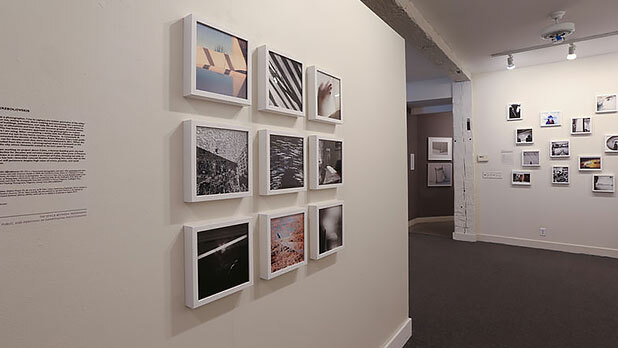 In 1977, New York City gallery owner Howard Greenberg founded this nonprofit exhibition space, where visitors can enjoy rotating shows and speakers. Located in the heart of Woodstock, this building once housed Cafe Expresso, where Bob Dylan, Joan Baez, and other musicians performed in the 1960s. This small Italian restaurant is housed in an old wrap-around farmhouse. Cucina serves wonderful pizza and pasta dishes on a beautiful outdoor patio surrounded by greenery. One of two venues owned by the Byrdcliffe Arts Colony (among the country’s first utopian arts communities), the Byrdcliffe Theatre always has something good going on, from exhibitions to live music to workshops. Make sure to check the performance schedule. 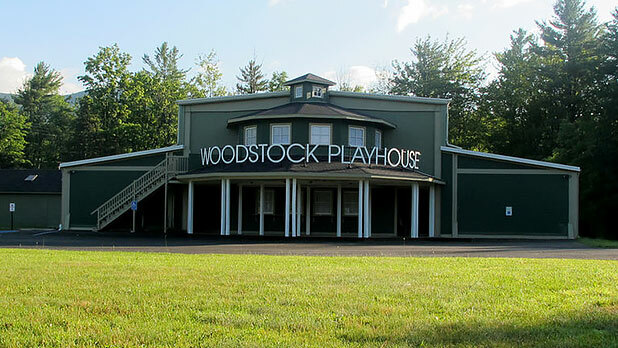 The Woodstock Playhouse and Bearsville Theater also have weekly performances worth checking out. 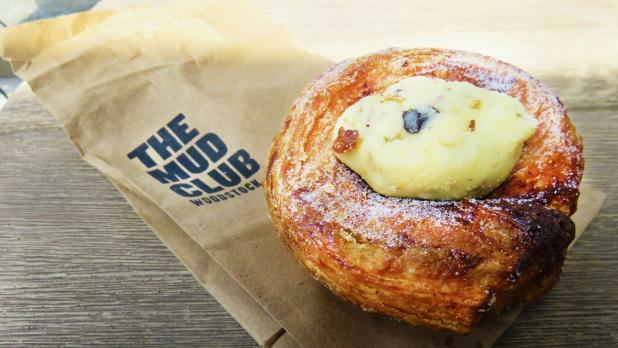 Open at 7 every morning, The Mud Club has wood-fired bagels and sandwiches in a Tolkien-esque building with a nicely landscaped outdoor seating area. Keep in mind that if you&apos;re coming from New York City, these bagels may be a little smaller than you&apos;re used to, so order two or add in a morning bun (pictured) if you need a fuller meal. This six-acre maze of bluestone sculpture took a retired professor from Bard University and a sculptor named Harvey Fite almost 40 years to build. Spend your waning hours in Woodstock exploring the park and museum. Woodstock is not easily accessible by rail, but Trailways bus lines make regular stops in downtown Woodstock, with service from New York City, Albany, Newburgh, and more. Woodstock is located about one hour by car or bus from both Albany International Airport and Stewart International Airport.